Knowing how to choose the best cruise ship size can make or break your vacation. 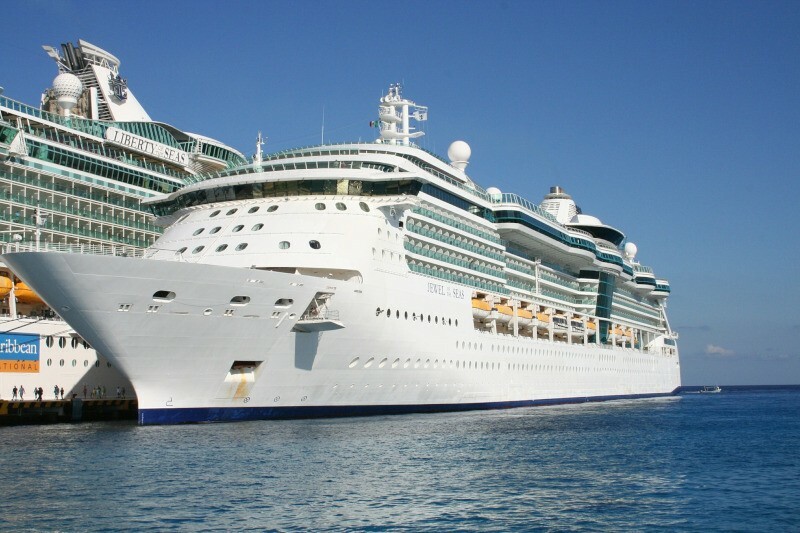 The size of the ship, not particularly the cruise line itself, is one of the most important factors people have to take into consideration when choosing which cruise to book. There is no such thing as the perfect size. The size of the ship is really contingent upon your lifestyle and vacationing preferences. Size is in fact one of the biggest contributing factors to how many other passengers are going to be on board. The number of passengers on board directly influences how many activities are offered and which amenities are offered. More importantly, the number of passengers directly correlates to the ambience and the luxury packages available. Finally, the size of your ship can directly influence the price and the age of most passengers. As a rule of thumb, bigger ships offer more features, more amenities, and because there are more people they end up costing you less. Chances are you aren’t going to cozy up with any of the other passengers and you probably won't see the same people more than once unless they are in a cabin next to you. Smaller ships, on the other hand, are cozier. They have a much more intimate atmosphere to them where you might make friends, but they do cost a great deal more. Many families are attracted to the larger ships because they cost less for the overall vacation and they have more entertainment options to fit different age groups. Older clientele tend to prefer smaller ships because the premium price brings with it simplicity, tailored entertainment options, and more of a luxury feel. The nice thing about modern cruise lines is that most of them have a multitude of ship sizes. The same cruise line could offer a 3600 passenger ship all the way down to a 600 passenger ship. So if there is a particular cruise line that you enjoy, you don't have to switch to an unfamiliar company just because you want a different size. Mega ships are those which have 3000 or more passengers. Many people enjoy that there are affordable cabins with balconies, but the standard cabins tend to be smaller and you will need a map to find your way around. In terms of dining, you have many more alternative dining options, but the buffet is really a free-for-all. Given the large number of people your dining times and tables are assigned, and if you want alternative dining options you probably have to pay for them. The service offered on a mega ship is usually impersonal and the types of passengers you get will be demographically diverse, ranging all the way from families with lots of children to seniors. In terms of entertainment, you will have theaters that show actual Broadway musicals, huge casinos, nightclubs, but most of these things do cost extra and you have to book them in advance. Due to the high number of people, you will probably have long lines when you try to embark and disembark. Plan to rise early if you hope to secure a deck chair for lounging. But they do have many waterpark activities, large gyms, and often lavish spas. In terms of the shore tours, most of them lack immersion and often focus on popular tourist hubs, as the real destination on mega ships is the ship itself. If you pick a smaller ship - one with fewer than 2000 passengers - you benefit from the fact that the cabins will be larger and you might not need a map to get around. Your dining options will be limited, but they won't be as crowded and you can come and go as you please rather than having assigned dining times. The service you receive on smaller ships is very personal. Most of the time you can even book specialty luxury packages that provide you with personal concierge services. The entertainment might be more limited but most of the things provided are included in your package deal so you don't end up paying more money for them. The lines will be shorter when you disembark and when you embark, and you will probably be able to find enough chairs around the pool decks if they have multiple pools. But more importantly, these cruises tend to cost a bit more because of the personalized services you get. One example of the personalized services is when you go to shore. You can choose better options that aren't necessarily as touristy and provide a unique experience in a new country or new city. How to cruise with family?